Lunch: For Parties of Six Guests or more only. All Reservations are confirmed for inside dining only. Patio seating is not reserved but first available when your party arrives. Complimentary Valet Parking offered on Friday and Saturday Nights. Italian inspired Cuisine in a charming and beautiful country setting with outdoor dining. Stone terrace with large fireplace nestled between aromatic herb and flower gardens. Please click on "More Details" for reservation information. One of the best patios for outdoor dining. I will say I was a little disappointed in my brunch steak and eggs. Steak was quite over cooked. Also the Quiche lacked flavor. We did however live our appetizers of artichoke and crab and the calamari. I know it was crowded because of Easter but our waiter seemed very indifferent toward us. Maybe next our experience will be better. Still love this place. Portico is a favorite of mine and my family. The easter brunch my boyfriend and I had was very good. Only reason I gave a 4 on food is because the Crab Omelet I ordered was not really an omelet and more of a frittata that was overcooked. Tasted good, but was a little dry. The food was delicious as it always is. Great staff! This was my first time there for dinner. We are on the patio and it was beautiful! The landscaping and patio design make for a lovely retreat! It was a bit chilly and the tower heaters made it really comfortable. The lettuce in the salads was super fresh and crisp but there was so much of it on the plate that it was a bit overwhelming. All the food tasted great and was attractive on the plate. My only minor negative feedback would be that the waitstaff was efficient to a fault. No one was rude or unpleasant, just a bit rushed and lacking that personable element that makes service memorable. The valet team was friendly and courteous. Overall a great place and we will be back! Portico is one of our favorites! Paolo is wonderful, and the ambiance is unmatched! Dined there twice in one day to celebrate family birthday and business lunch - food was outstanding with the calamari the best I have ever had and wine list good but overpriced. Service from the waiters was poor with no attention, delays in taking the order and forgetting to bring requested items and when they did so did not even apologize for delay and forgetting. This is a great upscale restaurant located in affluent area that will not accept American Express cards which shows low regard for the customer base! Truly a hidden gem in the area. I think to know this restaurant is to love it. Found the staff to be extremely attentive and the service was superior. All the things you would expect in a high-end restaurant but with none of the stuffiness. Casual elegance at its best. Noise level inside is high when the restaurant is full. Hard ceilings and floors with no ceiling sound proofing or ceiling insulating panels - which would help. Restaurant is excellent otherwise!! Very special! 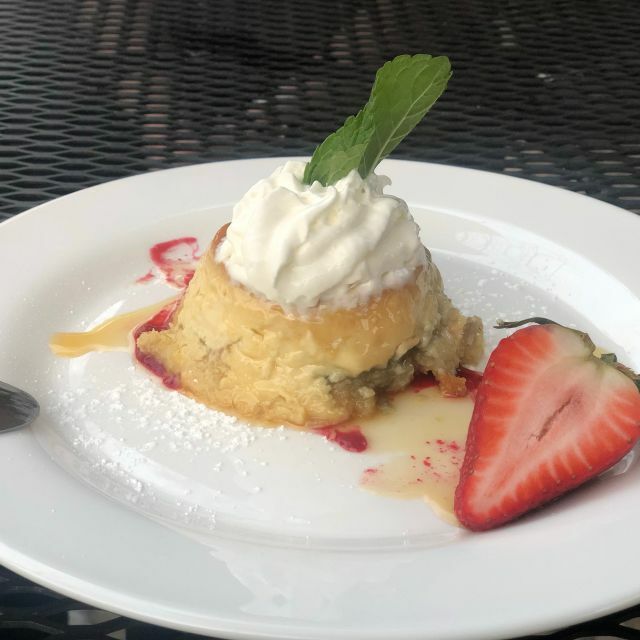 We took advantage of a beautiful afternoon on the patio and we were so glad we did, excellent service and food. Loved the artichoke, crab, tomato with crostini appetizer - fresh and tasty. Virginia flounder was excellent. We will be back! It was a lovely experience for my mom's 70th birthday. However, they told me they would put a candle in her cake for her birthday and they didn't :( Kinda ruined it for her. Otherwise, overall great. It was good but the food comes out way too fast. The past 2 times we have been there it has been like we are hung rushed out. We ordered and 5 minutes later there was the food. In nice weather there is no place more pleasant than outside on the Portico Patio. 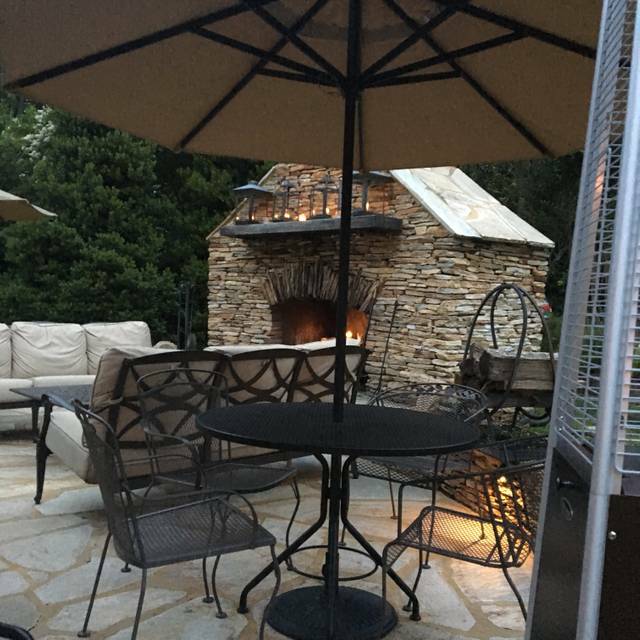 In cooler weather they have a beautiful fireplace going and patio heaters if needed. Inside is a little loud for my taste. 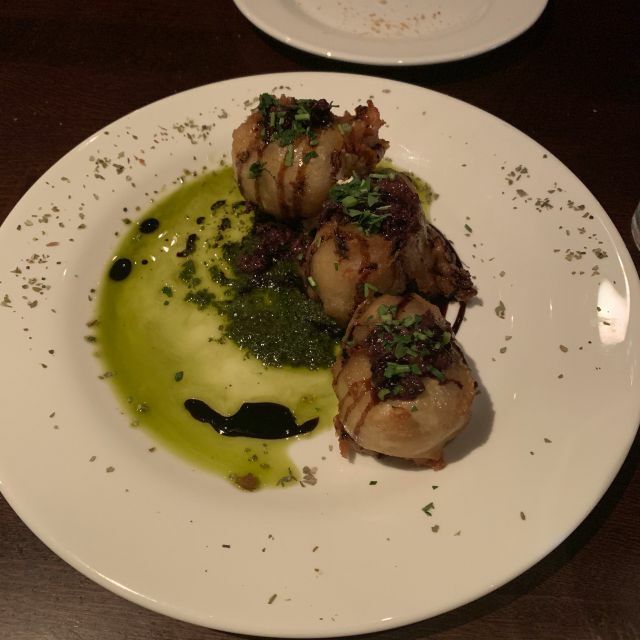 The food is very good and but has been a little better in the past. Great for lunch for the ladies. One of the best local places in the West End of Richmond. The ambience at Portico has always been the best! Food is great and not overpriced, service is wonderful, complimentary valet, good for dates, family, and friends. Can’t get much better than this. A wonderful birthday celebration! We love it! Never disappointed! Portico was a wonderful evening for my daughter and I. The restaurant is in a lovely setting with indoor and outdoor dining available. The service was quick and the waiter delightful. The food was excellent and ample. We ordered the Caprese salad, a Cesar and Penne Bolognese. A very nice glass of Sangiovese topped of our meals and we happily headed home with a full stomach. 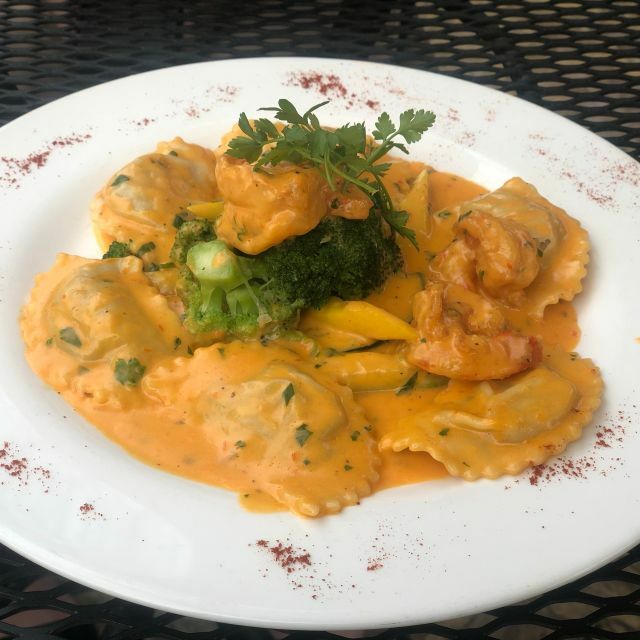 Portico is one of our favorite restaurants. 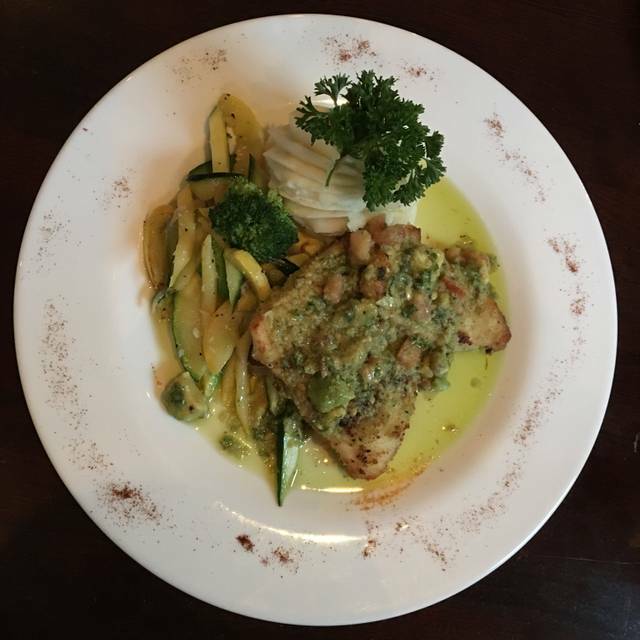 The food is consistently good, the wine list is ample, and the service is always friendly and prompt. Unfortunately, on our recent visit during our dinner a very loud party was seated next to us. Two women insisted on ear-splitting shrieks of laughter and stories, making it difficult for my wife and I to enjoy the rest of our meal. While it was a bad experience, it was not the fault of the restaurant, and will not affect our patronage. I ask anyone reading this please to be aware and considerate of those around you when you dine out. The Italian food is phenomenal! 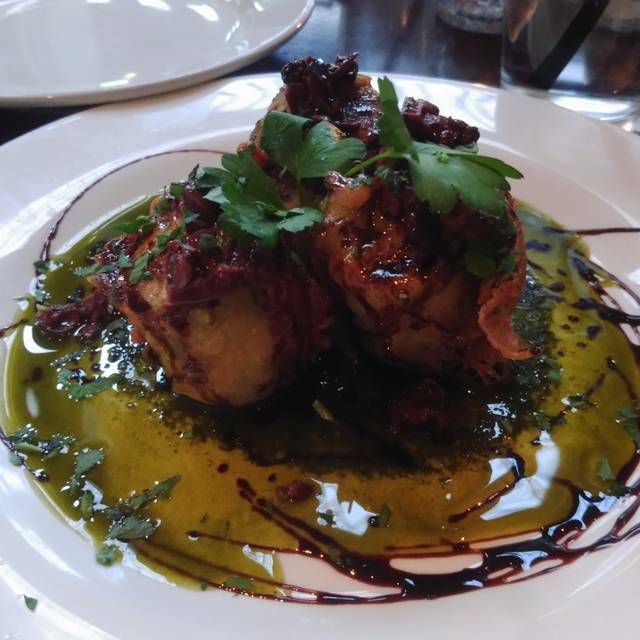 We had these delicious fried artichokes to start, the Portico pizza, vegetarian and so incredibly yummy! The pizza was stacked full of veggies and well cooked. We finished up with penne a la vodka - one of the best I’ve ever had! Cute ambiance, it’s in a house and has a nice patio outside. Would very much recommend! 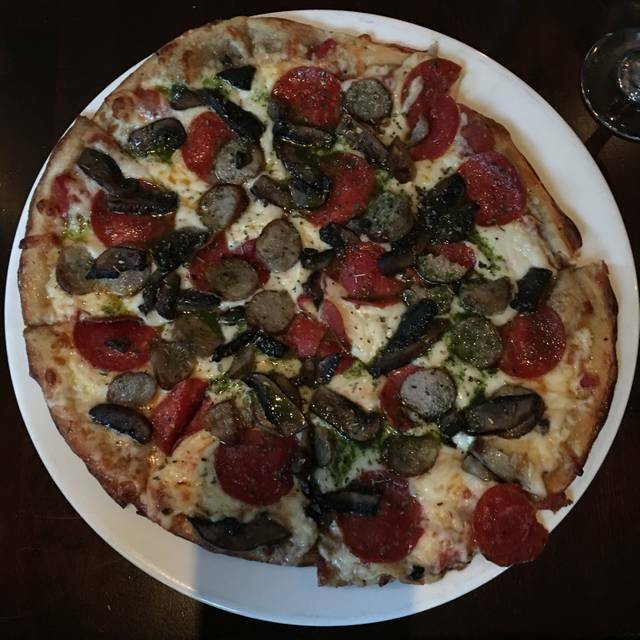 Always enjoy the meals, one of my favs is Portico’s pizza. Delicious food, great service, and amazing atmosphere. Reliably good..outside is the best! I ordered the salmon and it was lukewarm when it arrived and had too much butter/grease. My favorite RVA restaurant... great food, great ambiance, great staff. It can be a little noisy, but nothing that should keep you away! Service was just ok- felt like we were being rushed, asked to have specials repeated, because it was rushed thru. Wanted to enjoy our cocktails, but felt we had to order right away. I generally love Portico but this meal was not as good as usual. The side salad and cesar salad were nothing special although one guest had the artichoke appetizer and it was very good. The entrees were decent but mine, the special of sea bass, had a mildly green, too thick sauce covering the fish (too much- overwhelmed the fish in terms of texture) and the sauce was completely lacking in flavor. The whipped potatoes on the plate were the worst I have ever had at a restaurant. They honestly tasted like instant potatoes made from the dried flakes--honestly had the texture of those instant potatoes and lack of flavor. There is something odd about flavors lacking in these dishes. Even the so called herb spread for the bread had zero flavor. All four of us agreed and tried to figure out what it was; it had zero appeal. Service was a bit inattentive although it was busy and we were in no rush. But we had to ask for things like butter and then sugar for the coffee, so you sit there with the item, awaiting the condiment and it should have been brought with the food in the first place. The desserts were very tasty; the Tiramisu was the best I have ever had. So...very uneven I would say but the real issue is that flavors are lacking. I think its worth another try in the future but the chef needs to find a way to add flavor when using sauces and herbs. Love this place!! Looking forward to warmer weather to have brunch on the patio. The restaurateur has not caught up with people with food allergies. 95% of their menu is loaded with gluten and did not offer much for those of us with gluten allergy. A high end restaurant in a high end neighborhood should offer menu with food allergy. The dining room was very cold. I would not be returning, very disappointed. Great evening. Great food. Good service. Excellent meal choices for lunch and excellent service from Manny! Always enjoy this place, reliable, consistent. "Welcomed back" by the host, nice touch! Good food and good bar too! The ambiance was so nice. We loved sitting outside with the heating lamps. The service was great and the food was amazing! Nice evening to enjoy the patio. Location and atmosphere are great. We dined on the patio for the first time this visit and recommend it for a change of pace and less noisy experience. 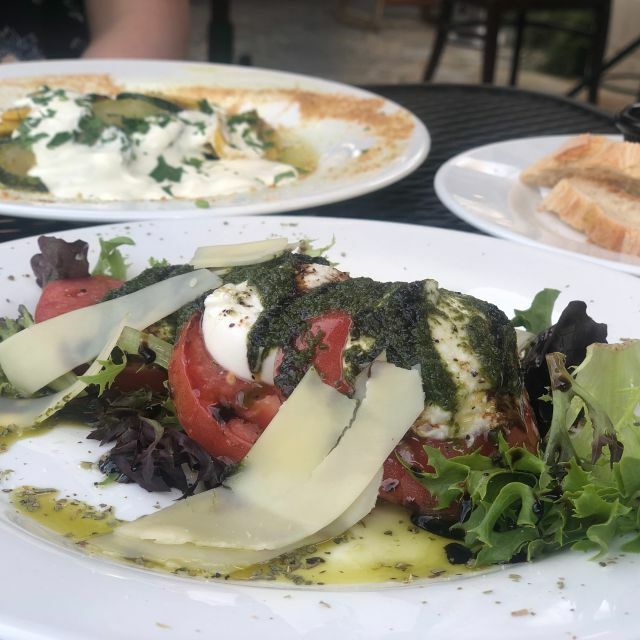 The veal piccata and seafood crepes are great, and their pizzas and apps are always excellent choices. Still great food, but apathetic service on this visit + table next to bar with little ambiance and wait staff constantly bumping my chair. One of the best restaurants I've been to! Have heard great things, now I know why! Great brunch. BEST TIRIMUSU EVER!! !